If you’re considering becoming a bail bondsman, you should know a few basics about the business. For example, do you know what a bail bond is? Do you know how it works? Here, we’re breaking down a few essential terms you’re likely to encounter as a bail bondsman and what they mean. At the most basic level, you should understand bail bonds–after all, they’re the heart of your job. Chances are, you’ve heard about bail bonds from TV. Cop shows often mention that a judge posted bail. A bail bond is a contract to ensure the defendant appears in court at the time and date ordered by the court. There are two component parts: the posted bail and the bond itself. Bail is what most people think of when they want to get out of jail in a hurry. To ensure that someone appears at the scheduled time and day, courts will set an amount of money to ensure the person appears. If they fail to appear, the court may order forfeiture of the full bail amount. If the courts view an individual as high risk, they may deliberately set bail at unaffordable amounts to ensure the person stays in jail until their pre-selected date. If this happens, a defendant may turn to a surety bond company, which is a lender that exclusively handles bail. The defendant is assigned a bail bond agent (you) who posts a bail bond on their behalf. The cost of bail is paid by the bail bond agent, who keeps a percentage of the bail as a fee for their services. The bond is the contract which ensures that a defendant will appear at a court date. 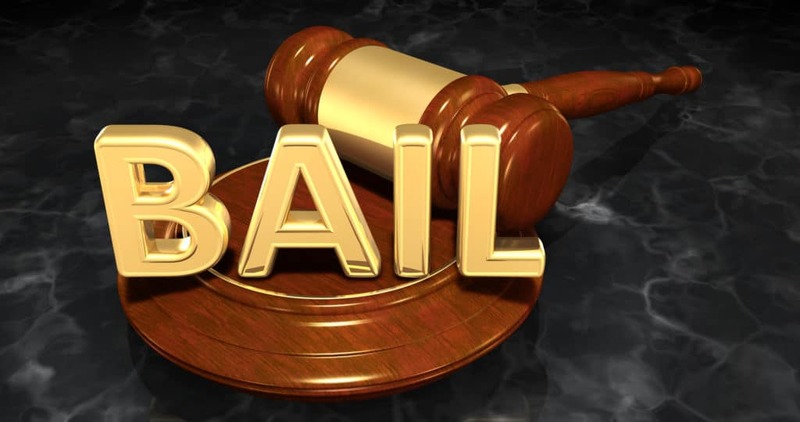 If bail is the dollar amount which ensures the defendant will appear (in order to avoid forfeiting the full bail amount) then the bond is the agreement which enacts bail. Of course, bail doesn’t necessarily end with money. Bail conditions are other conditions (outside of the bail amount) which are created to ensure the appearance of the defendant. This may include forfeiture of the defendant’s passport, continuing employment, or other case-specific conditions as the court sees fit. Note: depending on the crime committed, not all defendants are granted bail. In Virginia, for example, bail is not allowed in cases where the defendant has committed a crime punishable by death or life imprisonment. If bail is the amount of money on the line to ensure someone appears in court, and bail bonds are the agreement releasing the defendant from custody, a bail bond premium is a cost associated with posting a bail bond. In most states, this amount is restricted to 10% of bail. For example, if bail was set at $50,000, a premium of $5,000 is paid to the bail bond company in exchange for posting the bail bond and releasing the defendant from custody. Think you could be a bail bondsman and learn the ins and outs of posting a bail bond? We’d like to help you start your career. If you have questions about becoming a bail agent, check out our FAQ section. If you think you’re ready to apply, click here.